The world today has an absolute dependency on electricity for its everyday functioning. Be it households all over the globe or firms both small and big, regular power supply is a must for all. Power outages can severely hamper work productivity and regular routines, which is where the significance of electricians becomes pronounced. Electricians are very much in demand across both the public and private sectors in India. Private firms and industries in big cities like Mumbai, Bangalore and Delhi have job openings for electricians, which can be discovered and viewed on job portals like IFFCOYuva. In order to efficiently complete a job, electricians are required to possess sound technical knowledge, including the use of different tools, wires and calibration equipment, testing wiring for quality and safety, updating older systems to adhere to new regulations and environment-friendly measures, reading blueprints, and collaborating with other professionals to complete a given project at hand. As an electrician, you will come across various duties that will need problem solving. Assessing systems for faults and repairing or replacing broken down parts is something that you will come across on a regular basis. Therefore, you must be ready to respond to issues, investigate them and find ways to fix them. You should be able to think issues through and solve them, following step-by-step procedures as learned in your training. Being able to tell the strengths and weaknesses of alternative solutions is also something you will need to be capable of for tasks that you will be handling independently. To work as an electrician job in Delhi or in other cities, you will need to give great attention to detail as the job is going to be detail-oriented. Electrical systems and circuits are complex which makes missing out on small faults quite possible. Staying mindful and paying attention to details is also important for safety concerns. 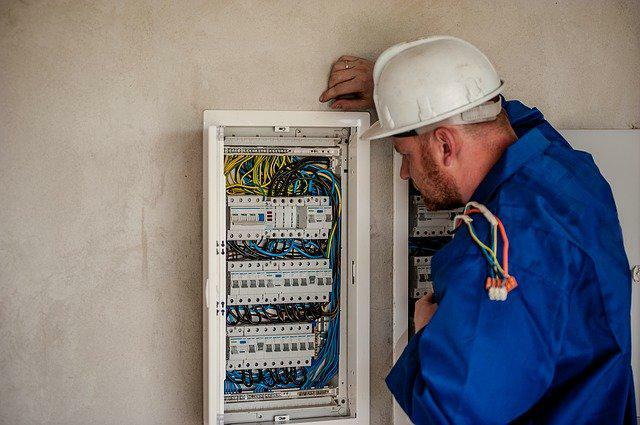 Although time management is a standard skill that all professionals must master, doing so is vital to the role of an electrician. You could be working on a time-sensitive task or as a part of a large team wherein everyone will be required to complete their duties on time for the overall work to progress smoothly. You will need to stick to the timeline you’ve committed and get the job done effectively. Electricians often work with a diverse range of professionals, such as contractors, project managers, architects, engineers and so on. Hence, being able to communicate effectively becomes an obvious requirement too, both for the sake of clear understanding of what is relayed to them and also explain their part of the job to the other party. Most importantly, you must be able to fluently put your plan into words. In addition to the above, an electrician must also be dependable. Your employers should be able to trust you with significant tasks. Having some business skills might also be a plus point which you can keep honing on the side, for career growth. In addition to all of the above, electricians must also have good vision and dexterity. Irrespective of whether you plan on working with a private firm, public organization or even as a freelancer, having these skills can go a long way to help you progress in your job as an electrician, be it in Delhi or someplace else. Furthermore, they can help you build your network, and develop an understanding of how small and large scale projects are managed and executed. Some Of The Top Best Universities In The World In The Year 2018.